This panel covers how the up-and-coming music artist can develop their music as a source of income. Learn about how to get music featured on movies or shows, artist branding and management, and general legal advice to protect your music. Silvia Rivera, Managing Director of Vocalo Radio, has spearheaded the development of the Urban Alternative (UA) - a new format for public radio that spotlights Hip Hop, R&B, Dance music with an emphasis on local music. The UA format is currently being tested in 5 markets. Silvia’s career was launched by a youth-media training program that fueled her mission to use media and the arts as a catalyst for civic engagement. Silvia is a founding member and co-chair of the Latino Public Radio Consortium and serves on the board of the Chicago Foundation for Women. Andrew Regalado, Founder of Activate Hype and Steady Repeat, is a Chicago-based multi-talented creative specializing in branding, digital marketing, and web design across various industries. When he isn’t attending concerts and crafting music playlists, he is a brand consultant, content creator, graphic/web designer, social media marketer, and much more. Andrew has consulted, curated, and revamped branding and marketing efforts for small businesses, startups, corporate clients, musicians, and even personal brands. Melissa Chapman, Founder of Groove Garden, specializes in music supervision and licensing for film, advertising and other media. She has worked on campaigns for Target and Hershey, and cleared songs for Chicago's own "Signature Move," Sundance favorite “Beach Rats,” as well as “Thirst Street,” “The Fits,” “Donald Cried” and more. Mikhael Bortz, Founder/Managing Partner at Bortz Law Firm, is an entertainment, intellectual property, media and business attorney based out of Chicago and Miami. A former professional musician and songwriter, Mikhael specializes her legal practice in film, music, brand building and licensing, copyright and trademark, and social media. As the General Counsel for internationally renowned pop artist Romero Britto, Mikhael sat across the negotiating table from and closed deals with the likes of Coca-Cola, Disney, Mattel, FIFA, Royal Caribbean Cruise Lines, Sandisk, and many others. Jason Anthony Valcarcel, Co-Founder of Private Stock Studios, is an artist, record producer and entrepreneur who goes by the professional name “Fayze”, an alias he earned from his time at Lane Technical High School. Born and raised in Chicago, Valcarcel worked as chief executive officer of independent record label Good Life Music Group and LPZ Studios before founding PVTSTK (Private Stock) in 2013. Private Stock has now grown into a creative agency that provides services such as recording, mixing and mastering, project management and more. 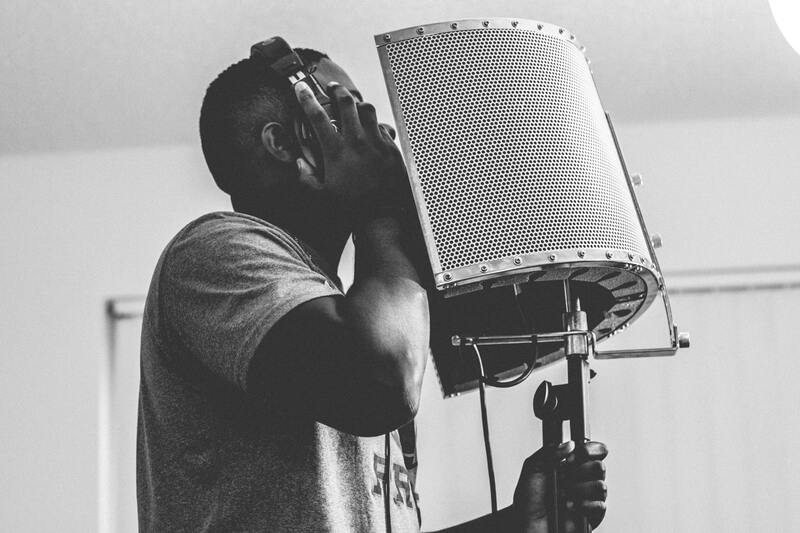 Through his time spent as an artist manager, Jason has been able to successfully build relationships with artists like Vic Mensa, Rockie Fresh, Saba and many more.